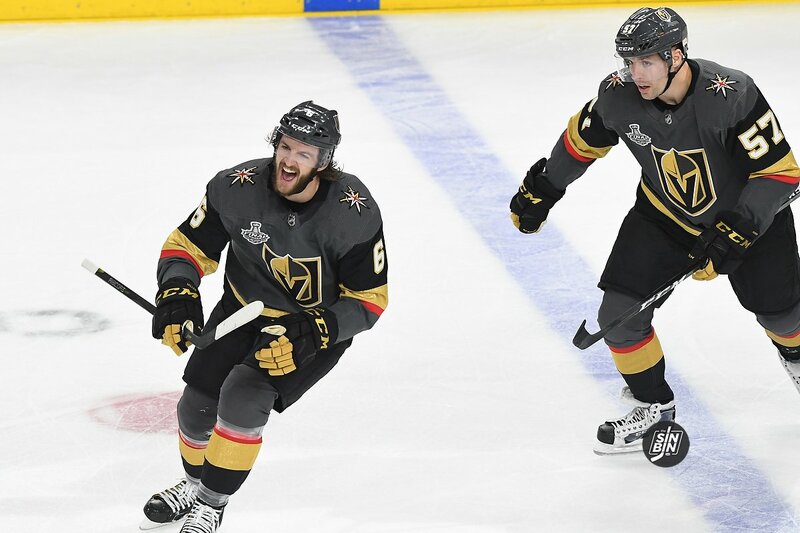 VANCOUVER, British Columbia — When the Golden Knights acquired Mark Stone at the NHL trade deadline back on Feb. 25, it was assumed the offense would perk up as Stone had 28 goals in the bank from his time in Ottawa. But who knew the defense would be the unit that has come alive? 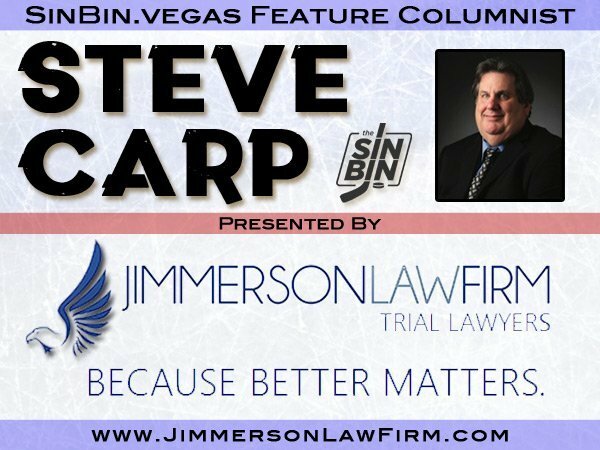 Collectively, the Vegas blue line corps is playing some of its best hockey of the year. And while it may be a coincidence that it has come since Stone’s arrival, the changes Gerard Gallant made a few weeks ago, moving Deryk Engelland with Nate Schmidt, playing Shea Theodore with Brayden McNabb and giving Jon Merrill a regular spot in the lineup, seemed to have worked. The defense accounted for both goals in Wednesday’s 2-1 win over Calgary at T-Mobile Arena. More important, the Knights have allowed just nine goals in the six games Stone has worn the steel grey No. 61. Obviously, Marc-Andre Fleury’s play in the crease has been a big part of that. But don’t discount the job his D-men are doing in front of him. The Knights are winning more battles in their own end. They’re more active in using their sticks to take away the cross-ice pass. They are making smarter decisions in breaking out of their own end. They are pinching in the other team’s end more judiciously and not getting caught in as many odd-man rushes the other way. They continue to block shots at a high rate. They seem to be communicating better. All of that was again on display Saturday here in Vancouver at Rogers Arena against a Canucks team which Vegas handled a week ago, 3-0, and 6-2 Saturday for their sixth straight win. The Knights scored a franchise-record five first-period goals and there was no looking ahead to tonight’s big game at the Scotiabank Saddledome and the rematch with the Flames. And as many predicted, Stone finally scored as a Golden Knight as he opened the scoring 1:32 into Saturday’s contest. Gallant said you never know what’s going to happen when you change your lineup. But these moves appear to have worked so far. You ask the defensemen what’s turned things around, you get different answers. Theodore said the defensemen are reacting better to the puck and making the right play more consistently. Engelland said it has been a collective mindset that has seen the team’s defensive uptick. Do The Golden Knights Miss Colin Miller? You bet! When Nate Schmidt returned to the Golden Knights’ lineup last month after serving his 20-game suspension for testing positive for a banned substance, everyone assumed everything would be fine in the VGK universe. Of course, everyone was assuming that Colin Miller would always be in the lineup too. That was a safe assumption considering Miller had never missed a game, regular or postseason. He, along with William Karlsson, were the Knights’ Iron Men. Gerard Gallant could put their names in the lineup in indelible ink and not worry. But Miller got hurt Dec. 17 against Columbus. He sustained an upper-body injury and he hasn’t played since. 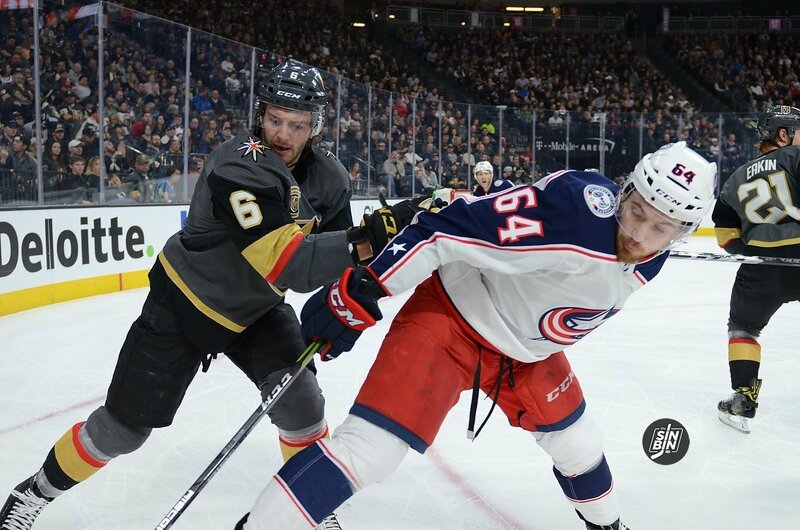 The Knights lost to the Blue Jackets that night and have struggled with Miller sidelined since. They didn’t look good in beating the Islanders last Thursday, squandered third-period leads to Montreal Saturday and Los Angeles Sunday and in doing so, left two valuable points on the table. Those two points would have looked pretty good this morning as you peruse the NHL standings. Vegas has 44 points, one behind second-place San Jose and just three behind Pacific Division-leading Calgary. Yes, they’d be in the postseason if the playoffs started today. But given the way things are shaking out, every point matters. And those two points are going to have to be made up on the road somewhere — maybe at Nashville or Winnipeg — where the Knights will not be favored by the oddsmakers. This team needs Colin Miller back on the blue line, pronto. The Golden Knights have the next three days completely off, meaning no games, practice, and no media availability. They currently sit in 3rd place in the Pacific Division with 44 points in 39 games. That’s one point behind the 2nd place Sharks and one ahead of the 4th place Ducks. There are a few topics I wanted to discuss but none of them garnered a full article. So, we cram them all into one and call it a day. Here we go. 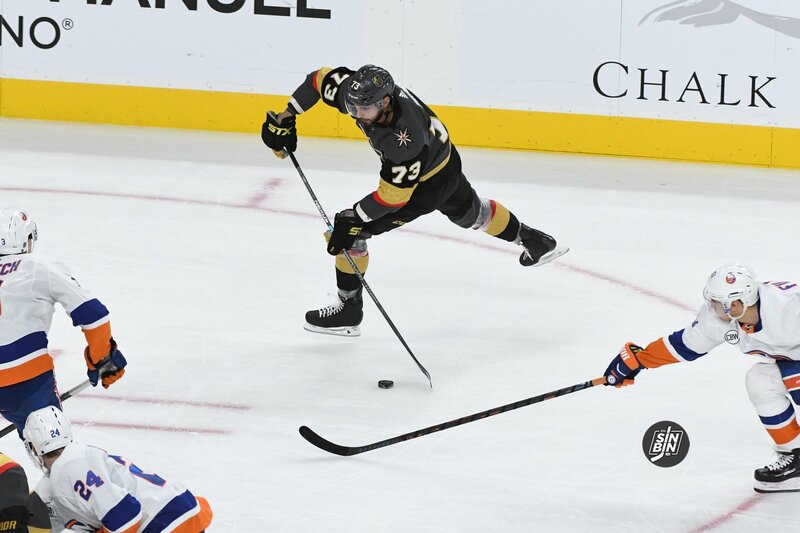 Following the overtime loss to the Kings last night the Golden Knights re-assigned Brandon Pirri to the Chicago Wolves. In doing so they also took Max Pacioretty off IR. Just looking at the moves, this would lead most to believe that Pacioretty will return Thursday and will be slotted back into his normal place in the lineup. That may happen, but it also may not, and Pirri might wind up right back on the 2nd line despite being re-assigned a few days earlier. Per NHL rules, if a player clears waivers, which Pirri did on October 4th, they must play 10 games or be on the active NHL roster for 30 days before they are eligible for waivers again. Pirri was recalled to the Golden Knights on December 18th and played in games on the 20th, 22nd, and 23rd before being re-assigned on the 23rd. Thus, he’s played three games and spent five days on the roster. By optioning him back to the Wolves during this three-day break, the Golden Knights still have six available games and 24 days before he must re-clear waivers. The clock is cumulative, so even if this stint with the Golden Knights is over, it restarts if he is called back up again. What all of this is trying to say is that there’s a practical reason to send Pirri down to the AHL even if VGK intends to play him on Thursday. It may or may not happen, but unlike most situations when a player is returned to the AHL, this one does not necessarily mean his time with the Golden Knights is up. It was well-documented how much the Golden Knights missed Nate Schmidt during his 20 game suspension. They went just 8-11-1 and were much closer to the basement of the Pacific than they were the top. Over the past two games, they’ve gone 0-0-2 at home while missing Colin Miller due to an upper-body injury. Deryk Engelland has missed six games this season, the Golden Knights are 3-2-1 in those games. When Miller and Schmidt are both in the lineup, Vegas is 12-4-1. When one or the other is missing they are 8-11-3. Defensive depth is clearly an issue that needs to be addressed, whether that be via trade or by giving some of the young AHL prospects a chance. Either way, something needs to be done because no team makes it through the playoffs with just six defensemen. The Golden Knights have 10 players in the top 100 in the NHL in this category. 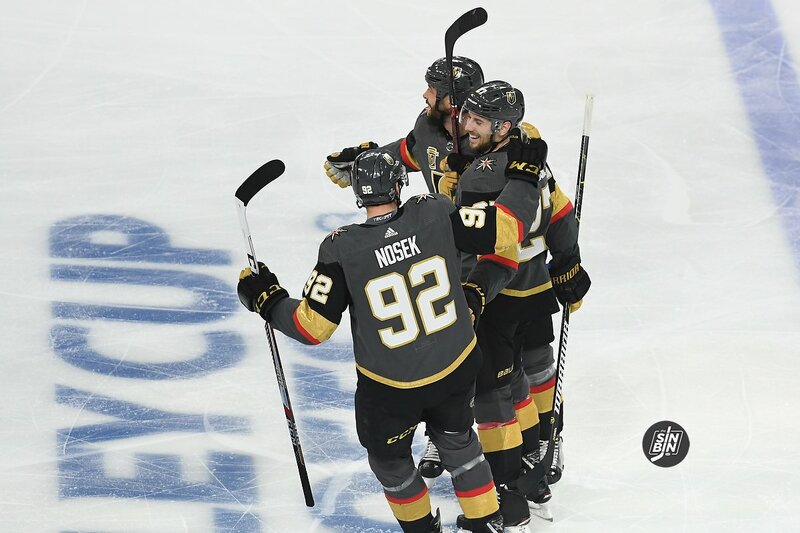 Jonathan Marchessault and Alex Tuch lead the team with 0:56 average per shift while Max Pacioretty, Reilly Smith, Paul Stastny, and William Karlsson all average at least 0:53. Nate’s Back, But Who Should He Play With? Nate’s back! 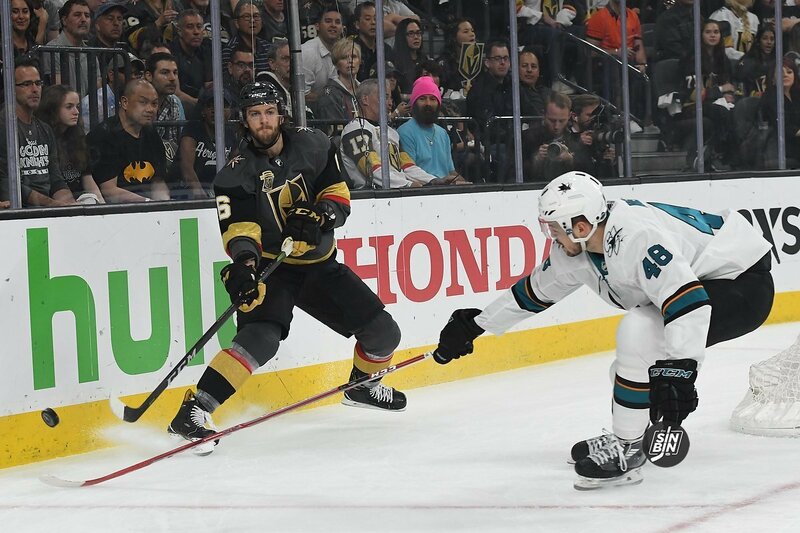 But now he needs a partner, and finding the right option not only for Schmidt, but also for the rest of the blueline is easier said than done for the Golden Knights. Last year eventual Jack Adams winner Gerard Gallant paired Schmidt with either Luca Sbisa or Brayden McNabb for a majority of the season. As the season went on Schmidt played most of his time on the top pair with McNabb. Now, as Schmidt is set to return the question is, should he go back with McNabb or is there a better option? If the Schmidt/McNabb pair is indeed once again reunited, not much else will change in the lineup. 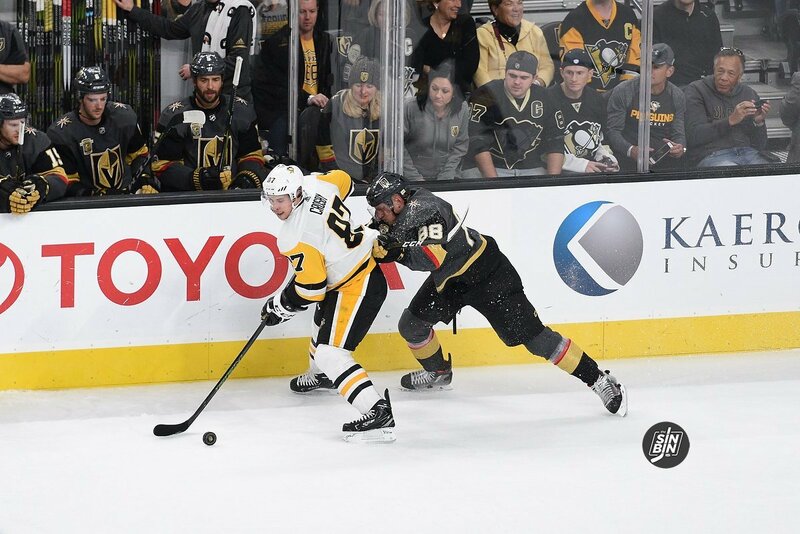 Colin Miller will slide down to play with Nick Holden and Shea Theodore and Deryk Engelland will remain together. However, an argument can be made that Miller and McNabb have been the best and most consistent pair, and maybe they shouldn’t be split up. Thus Schmidt would have to find a new home. Since Nate plays on the right side, there are really only two options for who he can play with, Theodore or Holden. 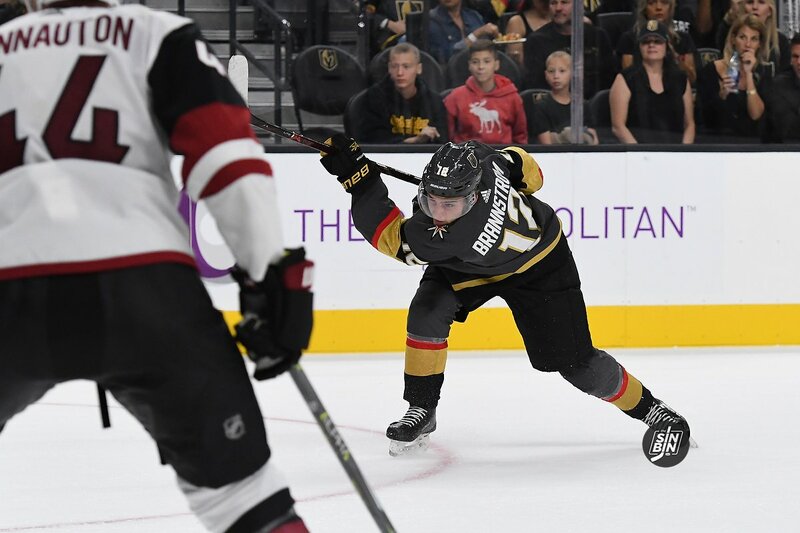 We are now over a week into training camp and have seen a pair of preseason games in which 32 different skaters have taken the ice for the Golden Knights. The impending suspension of Nate Schmidt and the possibility of Shea Theodore missing games with the contract negotiations has the blue line wide open heading into October 4th. Of course, there are still nearly three weeks of practice and six preseason games to sort it all out, but let’s take a look at how we think it shakes out as we speak. Nate is in a class of his own on the Golden Knights blue line. He’s the only player currently even close to being considered a 1A defenseman, and even that can be debated either way. However, with the suspension, he’s unavailable for 20 games, so he won’t be an option for the Golden Knights come October 4th. Looking back on the contract, McNabb was an absolute steal for George McPhee. With Schmidt’s absence, McNabb will step into the role as the Golden Knights top defenseman. He’ll be relied upon to stop the opposing teams’ best players night in and night out for the first month and a half and will be the key penalty-killing defenseman as well. McNabb is much maligned at times, but the guy is a legit high-end shutdown defenseman and when paired with the right player, he and his partner can shine. Yes, Miller is rated above Theodore, and not because Theodore is not in camp, but because Miller is the more complete player at this moment. Give it a few years and Theodore will probably soar past him, but right now Miller has become acceptable (and probably even more than that) in his own end and he’s an absolute weapon in the offensive zone. He boasts the hardest shot on the team and he’s bound to have a mega offensive season playing a much more prominent role than a year ago. 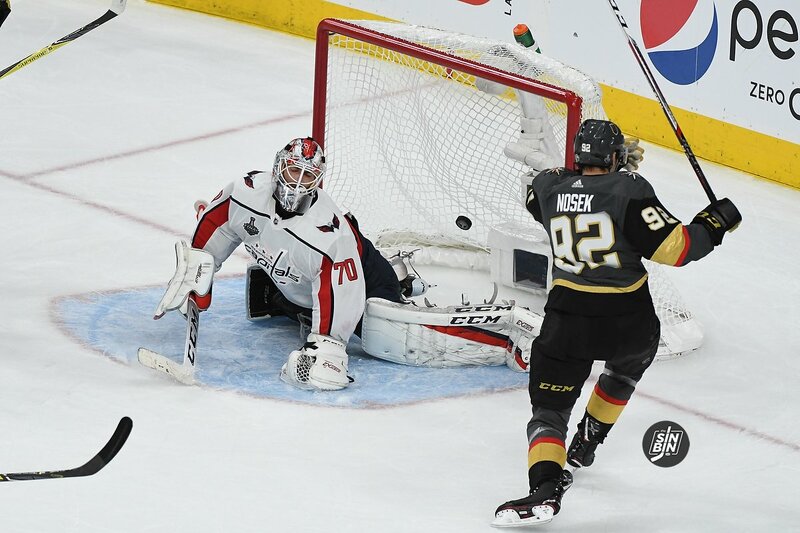 It’s the obvious question to ask following the stunning news of Nate Schmidt’s 20 game suspension, what now? It gets even worse when you consider the possibility of Shea Theodore missing games, but for the purpose of this article (and because this isn’t the time of year for doom and gloom), we’re going to assume Theodore is on the ice on October 4th. 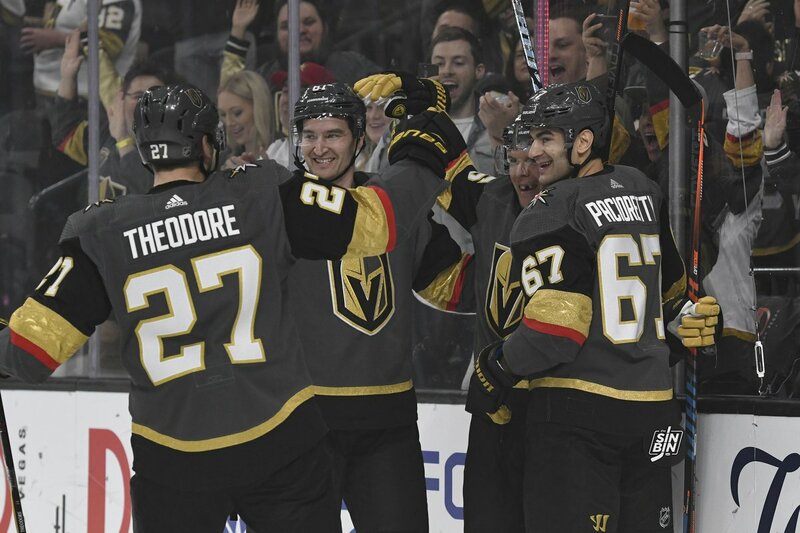 According to offseason quotes by George McPhee, the Golden Knights are expected to keep eight defensemen on the roster out of training camp. With Schmidt out, the roster has a total of 15 available players to fill those eight spots. Five names can probably be safely cast aside as longshots to make the roster (Zac Leslie, Dylan Coghlan, Jimmy Oligny, Jake Bischoff, and Nic Hague) leaving 10 players to fill the eight places. It really comes down to Brad Hunt, Jon Merrill, Griffin Reinhart, Zach Whitecloud, and Erik Brannstrom fighting for three spots and one starting role. The odds on favorites are Hunt and Merrill with them splitting time as the six starter spot to go along with Deryk Engelland, Brayden McNabb, Colin Miller, Shea Theodore, and Nick Holden. Engelland and Miller are the only two right-handed defensemen of the group of five highly likely to crack the starting lineup, but Holden has played most of his career on the right side. Thus, in theory, there are the beginnings of each of the three pairs. That leaves Theodore, McNabb, and Hunt/Merrill as each’s partner. Last year Jack Adams winner Gerard Gallant used both Theodore and McNabb with Engelland quite a bit. Assuming he returns to those familiar pairings, we’re left with four potential sets of pairings. When you think of scoring and the Golden Knights, rarely do names like Nate Schmidt, Brayden McNabb, or even Shea Theodore come to mind. 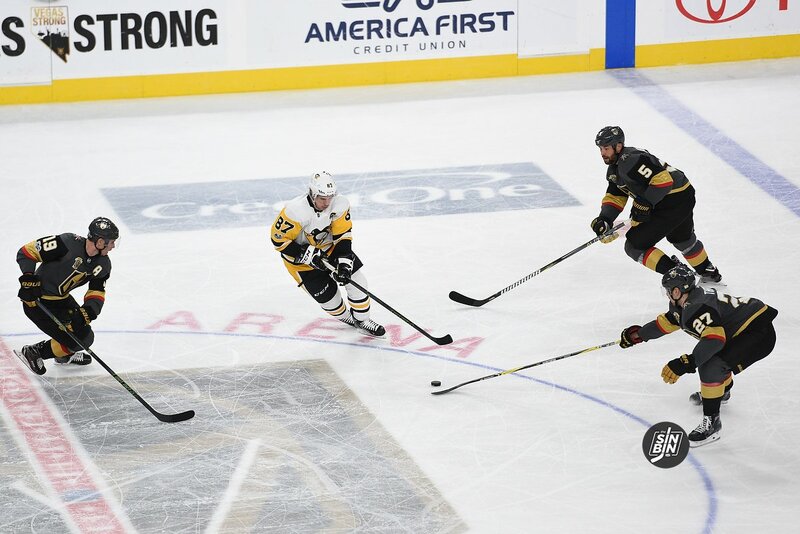 Aside from the occasional Colin Miller blast, the Golden Knights weren’t exactly known for offensive from the blueline. Last season, Golden Knights defensemen scored 37 goals. Good enough for 18th most in the NHL. Thankfully, the Golden Knights never needed to rely on blueline scoring. However, more output would help the team return to the playoffs. 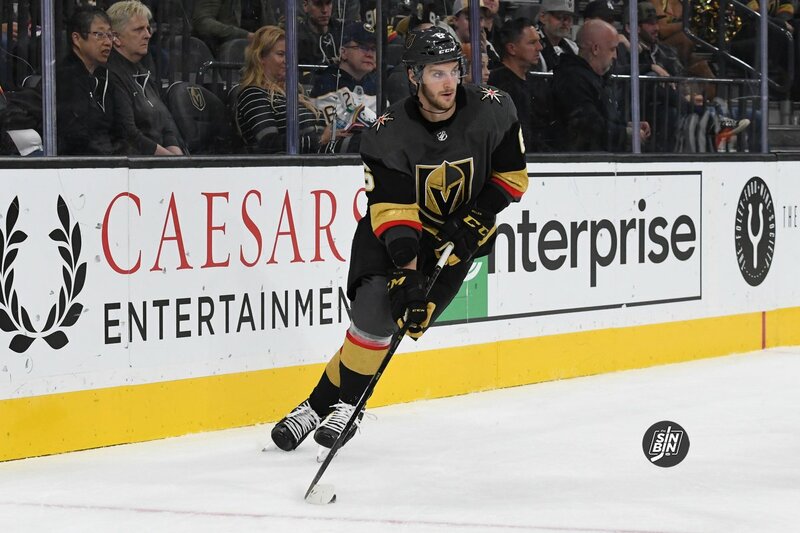 Colin Miller led all Vegas blueliners with 10 goals and 41 points. He was handsomely rewarded with a new $15M contract extension. As it stands right now, Vegas defensemen are projected to score around 40 goals in 2018-19. Not far off from last season’s totals. When you subtract Luca Sbisa’s contribution and add Nick Holden’s offense, it’s a virtual wash.